Stride or relax in style, these velvety loafers with their smart crocodile texture accents won't look out of place anywhere you go. They feature a cushioned insole and a gel heel insert for all-day, all-night comfort. The smooth lining lets you slip into or out of them with ease. 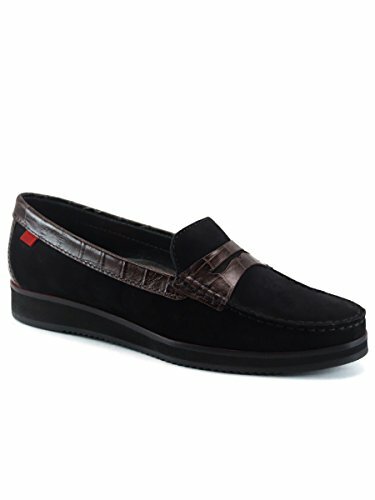 The rubber outsole is non-slip for firm grip strolling or driving. Please note they run a half size large, so be sure to buy with that in mind!